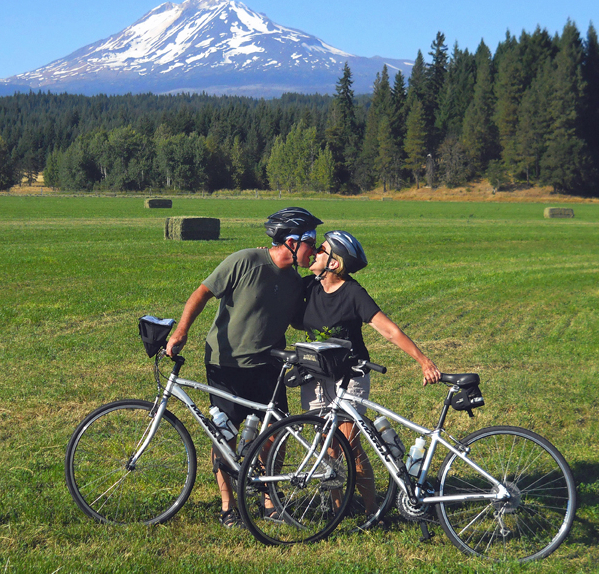 Bicycle Adventures is sharing its short list of the most romantic lodges guests can enjoy on a two-wheeled vacation, even after Valentine’s Day has come and gone. Issaquah, WA– To mark Valentine’s Day, Bicycle Adventures, a Pacific Northwest-based active travel company specializing in two-wheel tours in North America, Hawaii (the Big Island) and internationally, has shared its short list of what its staff consider are the most romantic lodges guests can enjoy on a two-wheeled vacation, even after Feb. 14 has come and gone. Two San Juan Islands resorts were featured by Fox news in its “10 Romantic Getaways in Washington State”. Bicycle Adventures uses both on three different itineraries. Lakedale Resort at Three Lakes is located between Roche Harbor and Friday Harbor in the San Juan Islands. Here guests enjoy the experience of lakeside views from the property’s lodge. Outlook Inn offers an experience of Orcas Island culture including watching the rising and falling tides. The following trips utilize these classics: San Juan Islands 4 Day, San Juan Islands 6 Day and San Juan Islands & Victoria. At Moraine Lake Lodge on Moraine Lake in the Rocky Mountains, a naturalist guide tempts guests to hike if he/she can get the guests up from the Adirondack chairs they’ve settled into with a glass of wine to toast the glaciers. Luxury Travel Magazine hailed it as ‘the ultimate romantic getaway’ and Bicycle Adventures’ guests rave about it in trip reviews of the following trips: Banff-Jasper 6 Day and Glacier-Banff-Jasper (8 days). Casa de San Pedro in southern Arizona is said to be “The Most Romantic Inn in Arizona” from its perch on 10 acres adjacent to the San Pedro River and Riparian National Conservation Area. Over 355 species of birds and hundreds of butterflies call this place home. Adobe, cacti and the history of the Old West make this a place to be remembered on Bicycle Adventure’s Cactus Classic. “The Most Romantic Getaway” in Central Oregon (according to Bend Living) is Five Pine Lodge. This was also named one of the top five hotels in the US by TripAdvisor in 2014. Surrounded by the Three Sisters and a thriving craft brew culture, there’s plenty of added value on Bicycle Adventure’s Bend Breakaway. For more information on these inns and associated trips contact the romantics at Bicycle Adventures by phone: 800.443.6060, email: office@bicycleadventures.com or visit online at: http://bicycleadventures.com/. Scenic byways, four and five-star accommodations and local dining and visits to National Parks are trademarks of Bicycle Adventures, founded in 1984. Types of tours include Classic (25-50 miles a day), Classic Plus (50-60 miles a day) and Epic (70+ miles a day with the most demanding terrain). Value-driven Frugal category of trips offers budget-conscious lodging and meals with full van support; Family tours offer multi-sport adventures and riding on safe, scenic bike paths. Pre-set and custom tours embrace the Pacific Northwest into Canada, California and the Southwest, as well as Colorado, the Dakotas, New York, Hawaii, New Zealand, Spain’s Basque region and Taiwan. Excelling in its own backyard the Issaquah, WA-based company’s line-up includes a National Geographic ‘Tours of a Lifetime’ award-winning Empire Epic cycling tour from Washington to Montana’s Glacier National Park, urban adventures in Seattle and Portland and immersions into the craft beer industry in Oregon and Washington.